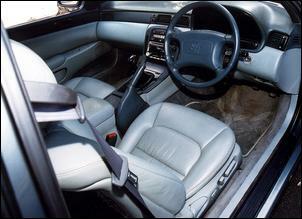 I have an imported 1992 Toyota Soarer 2.5-litre twin-turbo and am looking to change to a manual transmission. What options do I have with regard to selection of gearboxes? The Soarer twin-turbo was available with a factory 5-speed manual, which you might be able to find at the Japanese import wreckers - however, these ‘boxes are rare. Alternatively, we suggest contacting Dellow Automotive (+618 29774 4419). They might have a conversion to suit. As a motoring hack in a different country with similar driving conditions I often read your site with interest. Michael Knowling's assertion that the VW Touareg has limited off-road ability Volkswagen Touareg V10 TDI Road Test shows he did not take it off-road, thus missing the greatest treat this SUV has in store for its driver. Even the "little" 2.5 diesel Touareg maintains a "steady as she goes" poise over terrain which has lesser 4x4 stuck on axle-benders or careening down steep slippery slopes. Treat yourself. 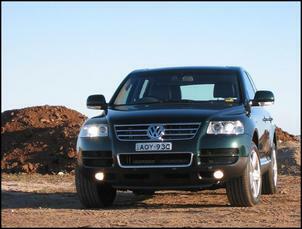 Ask for the Touareg again – and, this time, get it off the tarmac to tackle the rough stuff. The test was of the V10 TDi Tourag - the only model in the line-up that comes with 275/45 19 Pirelli P-Zero Rossos. Serious off-roaders cringe at the thought of these tyres on the rough. The cheaper 2.5 TDi Touareg you mentioned is probably BETTER off-road since it has higher profile tyres that are more suited to off-road conditions. The lack of a full size spare is also a major shortcoming of the V10 TDI.To be fair, we did state..."On one hand, it looks the goods with a switchable centre diff lock, high and low range gearing, hill start and downhill assist, adjustable ride height, generous approach/departure angles and, of course, ample grunt." Great magazine. Just wondering if you could do a tech story on all of the superchargers that came fitted to Japanese cars. 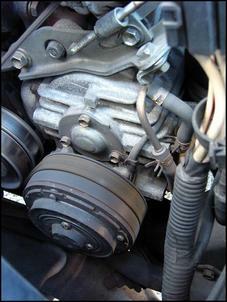 Something from a ‘person wanting to install one on their engine’ point of view. Pretty much everyone knows about the SC12 and SC14 from Toyota 4As and 1Gs but what other options are available for the home modifier on a budget? You could give physical sizes, plumbing connections, pulley sizes, maximum safe rpm, power output, size of engine they came off, volume displaced per revolution, cost, etc. Might make interesting reading. I've seen a lot of turbo comparisons but never any supercharger ones. Thanks for the interesting idea. We like it and will certainly check it out, though some of the information you mention will be impossible to find. Oh, and we now have a supercharged Toyota Crown in the AutoSpeed staff stable! 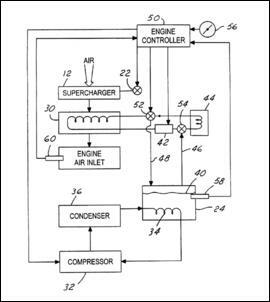 A heat exchanger mounted on the air conditioner evaporator exit piping would make use of the often unused ‘cool’ from the evaporator. You could pump the water from the intercooler through this new ‘heat exchanger’ to an insulated tank and back to the intercooler. It could work on the principle that on hot days you need more intercooling - and that’s when you tend to use the air conditioner... I have noticed that my car often develops condensation on the air-con compressor's suction pipe - even on a 35+ degree Celsius day. But, without building one yet, I’m not sure how it would go. Your thoughts on how it might be constructed? Maybe the ‘straws through a can’ approach? At this stage lack of time has prevented me from putting it into practice. I was wondering if you could help me with a small problem! I recently bought a Holden CV8 5.7-litre V8 and a 6-speed gearbox that I would like to fit into my VN 5.0-litre - but I’m not sure how to go about doing the engine mounts. Do you have any ideas? Any advice that you can offer will be appreciated! We suggest contacting your local traffic authority for the contact details of an accredited engineer. They should be able to tell you exactly what needs to be done to keep things safe and legal. 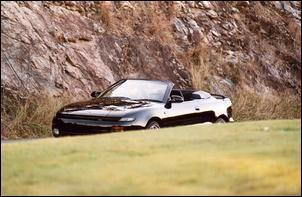 Re The Celica ST-185 Convertible ... Sorry to disappoint but the Celica ST185 was the GT4 version only. The ST185 didn’t come out in soft-top - the soft-top version is the ST184. You're right - our mistake. 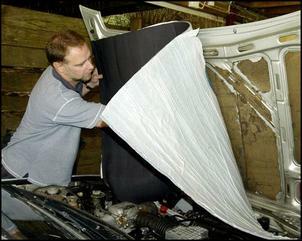 Re your underbonnet and boot sound insulation article Fitting Sound Insulation ... I think a much neater and more factory look would have been achieved by creating a cardboard template of each shape between boot/bonnet frames and cutting each piece to fit snugly as OEM pieces. This is the way I did it on my 1967 Alfa. I agree that the stuff is really tough to cut – a brand new Stanley blade gives best results.